As it was made clear in the last announcement by Linus Torvalds,Linux kernel 4.7 final release had a delay in release and the last Release Candidate of Linux kernel 4.7 rc7 was announced.Finally after a delay,Final Linux 4.7 is announced. But this extra week delay gave some time to the developers to work around and by the time there are few patches made for sure but they are not big as told by Linus Torvalds in the announcement.Some markable work arounds are there in networking and fixes under Intel Kabylake GPU are made as well. "So, after a slight delay due to my travels, I'm back, and 4.7 is out. of network drivers that got a bit more loving." least partly summer in the northern hemisphere)." So it's been clear that after the release of Linux 4.7,development for the next release is probably going to get started without any kind of break. 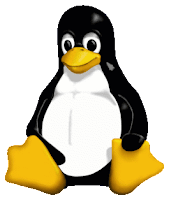 Linux 4.7 is now the latest stable Linux Kernel,users who are willing to upgrade can download it and upgrade it manually as it'll take time for updates to hit by Distributions based updates.